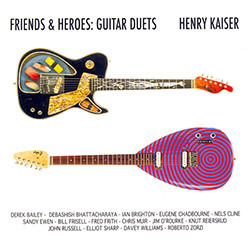 Drawn from decades of work, guitarist Henry Kaiser collects an astonishingly diverse set of recordings of duos with fellow guitarists Derek Bailey, Debashish Bhattacharaya, Fred Frith, Knut Reiersrud, Sandy Ewen, Chris Muir, Ian Brighton, Nels Cline, Jim O'Rourke, Elliott Sharp, Eugene Chadbourne, Davey Williams, Roberto Zorzi, Bill Frisell, and John Russell. 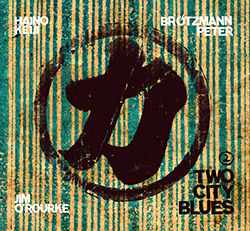 One of two sets recorded on one intense night at Tokyo's Shinjuku Pit Inn from the trio of Japanese improvised rock legend Haino Keiji, European Free Jazz saxophone master Peter Brotzmann, and versatile American composer and musician Jim O'Rourke. Fire! 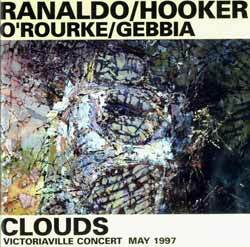 With Jim O'Rourke: Unreleased? 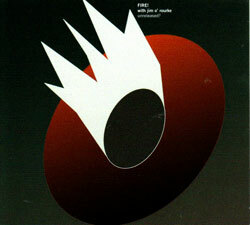 Mats Gustafsson, Johan Berthling and Andreas Werlin are joined by Jim O'Rourke to add a driving guitar & electronic layer to the "hypnotic jazz psychedelia and sonic mayhem" of Fire! 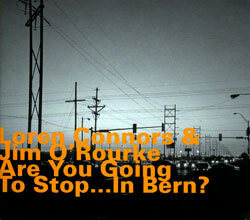 Connors, Loren & Jim O'Rourke: Are You Going To Stop...In Bern? Second edition of these 1997 recordings from guitarists Lorren Connors and Jim O'Rourke, sparse western-flavored playing with an experimental side that never loses sight of melodicism.